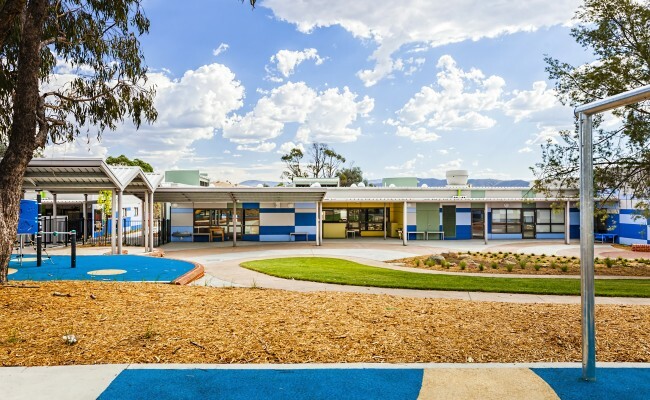 Following the closure of Taylor Primary School in 2012 due to structural damage, the ACT Education and Training Directorate invested $13.0m to rectify, refurbish and renew the school, including the incorporation of a new early childhood centre. 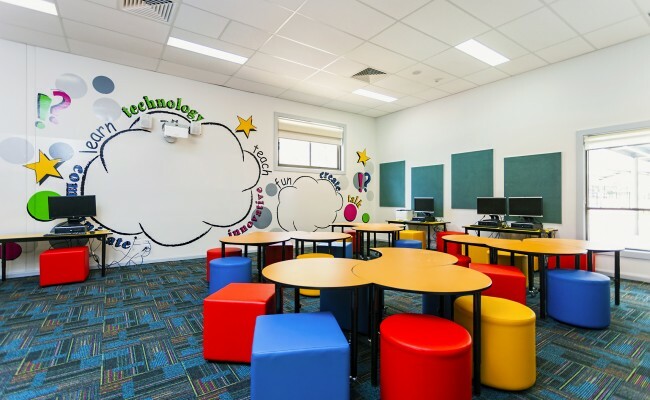 The collaboration of SQC Architecture and The Peppermint Room created a vibrant, modern educational environment that combined opportunity for the latest pedagogy and reflections of the natural attributes of nearby Mount Taylor. 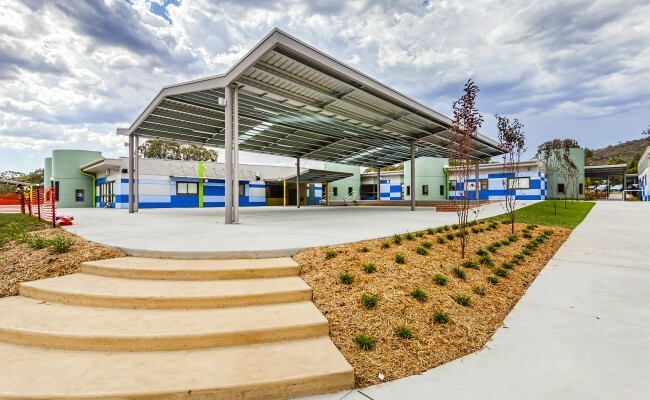 Enhancements and expansion to the original school included; comprehensive refurbishment of the building envelope and a new welcoming entrance; new 64 place early childhood centre, enlarged Pre-School; comprehensive new landscape, external shade and playground structures and other internal improvements. 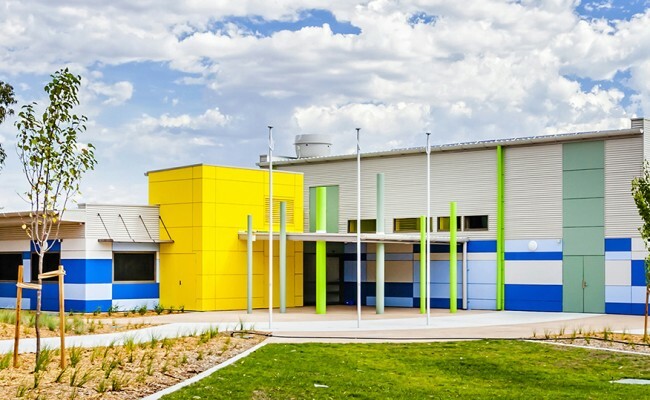 The schools picturesque backdrop and relationship to the natural environment formed the inspiration for the design of the school and colour selection for the external façade with three key elements; the mountains, trees and the new life developing. 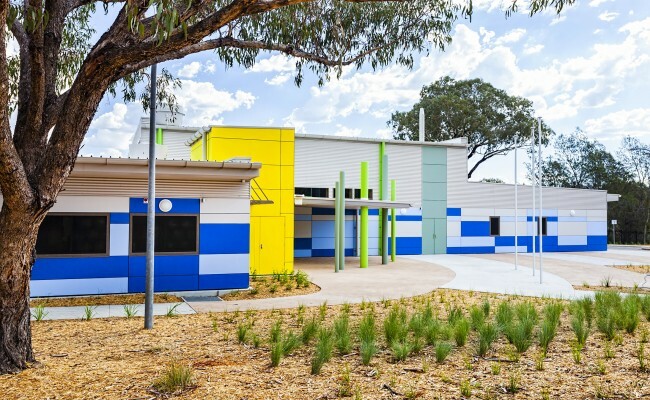 The use of colour created a playful environment for the children to learn and also brought the building back to life by giving it a fresh new public appearance. 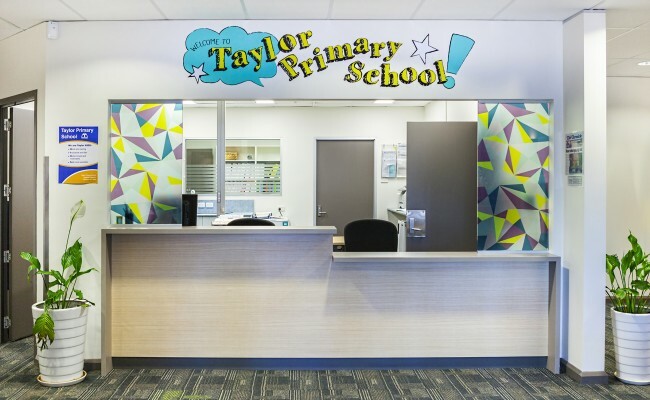 Very early discussions questioned if Taylor Primary School should be demolished and the school closed. 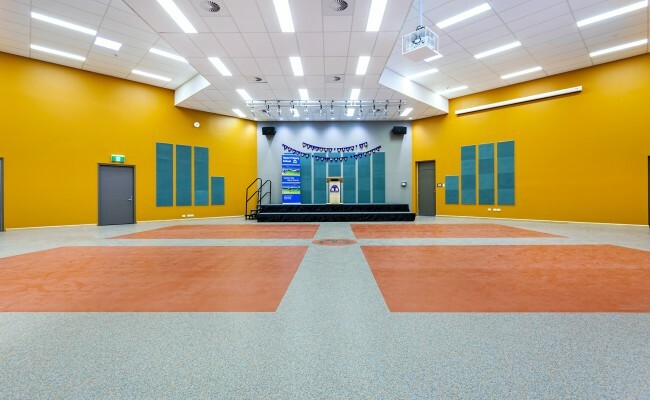 The decision to renew and sustain the educational programme from this site has been a major environmental and cultural sustainability outcome, at half the cost of a new building equivalent. Environmentally much of the building has been upgraded to 2014 BCA Section J compliance, including comprehensive insulation to the new roof and all walls. Together with new window technology, the energy demands of the building will be substantially reduced. 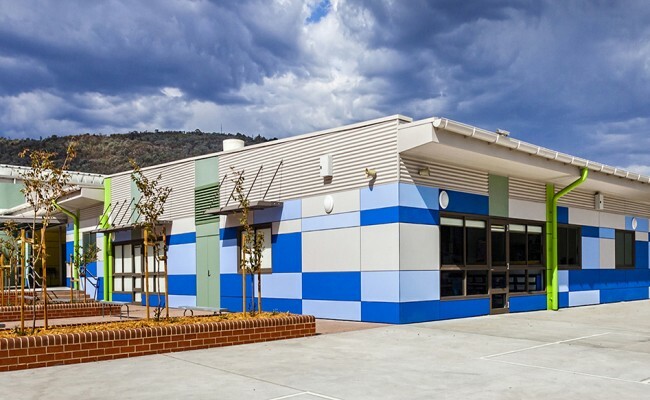 Socially, the retention of this public asset will serve the community of Kambah and surrounds for many decades to come. 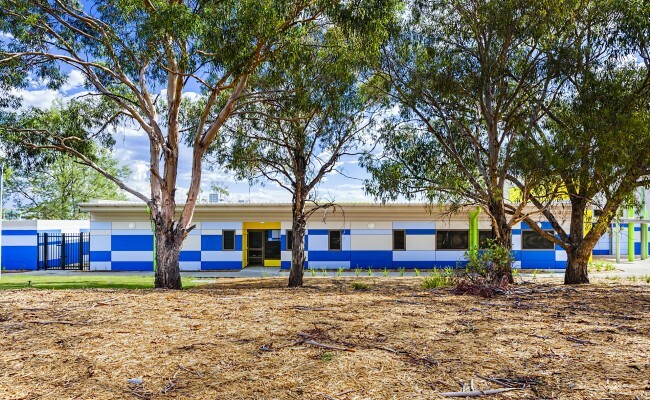 The smaller sized school is intended to appeal to families seeking a higher experience of community without compromise to technology or quality of education. Economically, the cost to replace this school in 2014 would be more than double the investment made to retain and refurbish the building.